Home Countries China FRIDAY FIGHT FACTS REBORN! Like phoenix reborn from the ashes, MMA-in-ASIA brings back the weekly digest of everything you need to know. ONE FC predominates, plus the SFL reality show, RUFF gets another top fighter, PRO Fighting is back, Pancrase title match announced and so is one for PXC. 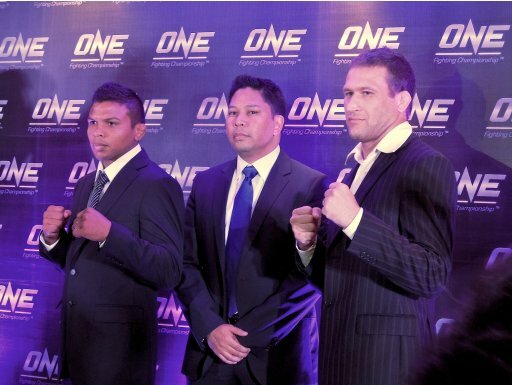 This edition is packed with news from ONE FC‘s first press conference with partner URCC in Manila, the Philippines. There are a hundred articles out there to read, from the hundred journalists who covered the event (which was also streamed live on Rappler.com), and here are a few of them: John Hudson Go, When In Manila, Rick Olivares, ABS-CBN, Christian Jacinto, Philippine Star, Karlo Sevilla, Bleacher Report, Peter Atencio, Manila Standard, Bob Guerro, Yahoo! News, Anton Tabuena, Bloody Elbow, and James Goyder, MMAMania. That should keep you busy for a while. And if you simply must have a video to watch, then check out Dana White being interviewed by MMA Oceana at TUF’s The Smashes – Eduard Folayand and Soa Paleilei get big shout out’s. After a successful PXC 31 in Manila, the next card was announced to be back in Guam on July 28th. Anton Tabuena on The Bloody Elbow shares two of the potential bouts Jon Tuck versus Harris Sarmiento and Ale Cali versus Erwin Tagle – which both should be wars. The South Koreans once again feature heavily with three on the main event: Kim DongHyun, Lim HyunGyu, and Jun Hyung. SFL Challengers launches – in a house with surveillance – find out all about it from their video introduction on their Youtube channel. If you’d rather read your news, check out this article, and of course look forward to SFL 4: Theirry Sokoudjou versus Trevor Prangley on October 6th. More MMA in India – FCC has highlights from the last event up. There are no armchairs anywhere near this ring! Caol Uno announces his return to Shooto on September 30th. Also in Japanese MMA, Pancrase announced Welterweight King of Pancrase title match up for Takenori Sato and Kei Yamamiya on September 1st. PRO Fighting is finally back in Taiwan, with another event stacked with unique match ups from across the globe. Check out the trailer for their event, and listen to Royal Chiou’s interview about his organization in this podcast. Details on RUFF’s next show haven’t been announced except for the signing of standout fighter Wu HaoTian who will be welcomed to his first event by Rodrigo Caporal. The last event is up on Yukou now, and the level of each event is growing and MMA takes off in China. Also not yet announced is the next Legend FC. Here’s a take on how the card could look stacked with fighters from Australia and Yusuke Kawanago’s first title defense. China gets even hotter this summer: HEAT invades from Japan with their HEAT versus AWA mixed event on the 25th and 26th, headlined by Wang Sai and Kiichi Strasser.